You are currently viewing Archived reports for the week of 2 March-8 March 2016. 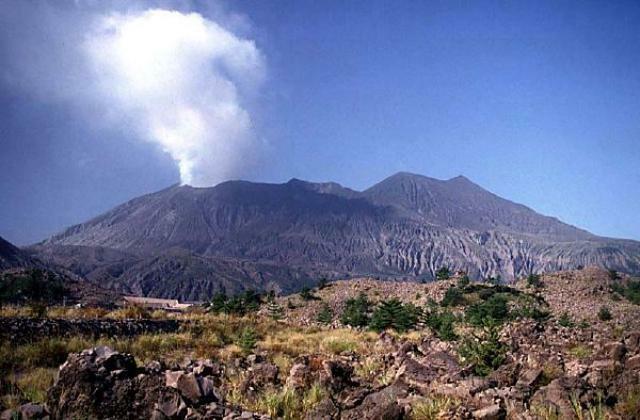 During 29 February-4 March JMA reported that two explosions from Showa Crater at Aira Caldera’s Sakurajima volcano ejected tephra as far as 500 m. At 0038 on 4 March an explosion at Minamidake summit crater generated an ash plume that rose 1.6 km. The Alert Level remained at 3 (on a 5-level scale). JMA reported that at 0656 on 4 March an explosion at Asosan’s Nakadake Crater generated a milky-white plume that rose 1 km above the crater rim; white plumes rose 300 m afterwards. 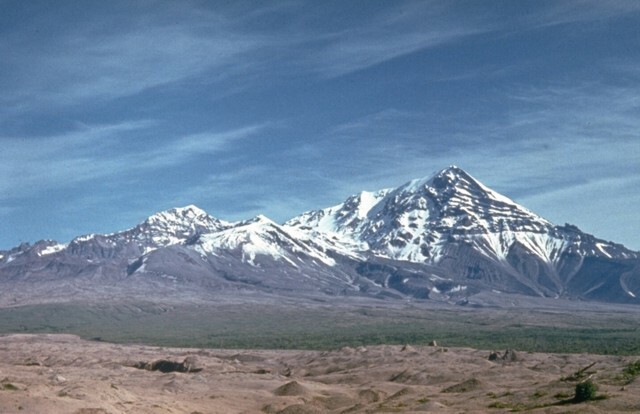 The amplitude of volcanic tremor had increased around the time of the eruption, but then had decreased afterwards. 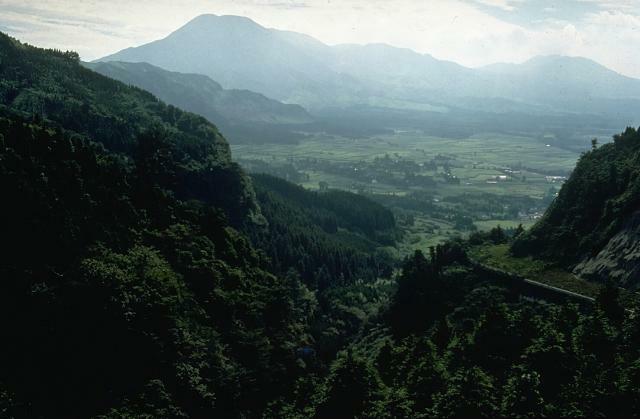 Fieldwork confirmed that a small amount of sediment had been ejected from the crater's hot lake, and ash had fallen on the E side of Aso and in Takamori (10 km ESE). The Alert Level remained at 2 (on a scale of 1-5). 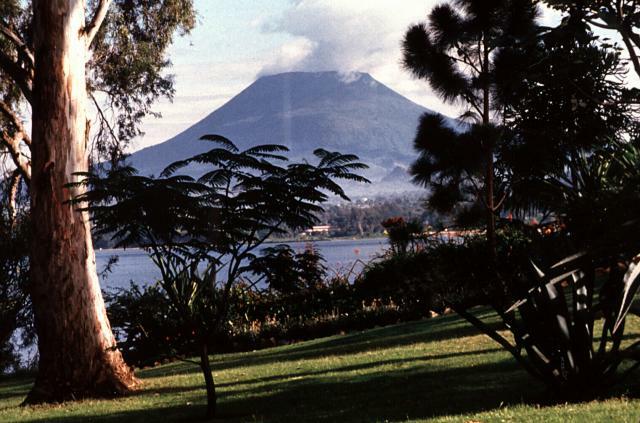 The Observatoire volcanologique de Goma reported that activity at Nyiragongo intensified on 28 February. 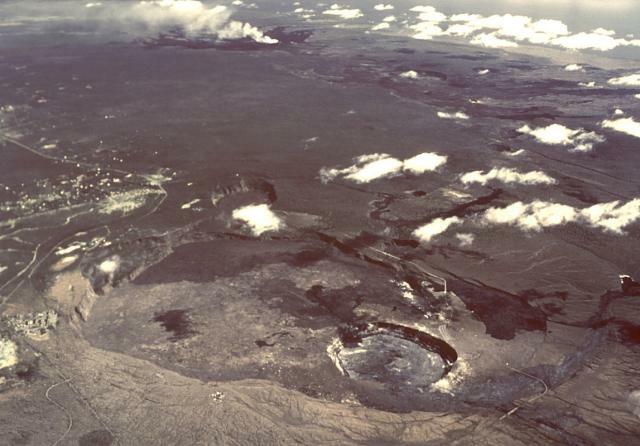 On 1 March scientists observed a second lava lake on the E part of the crater floor. 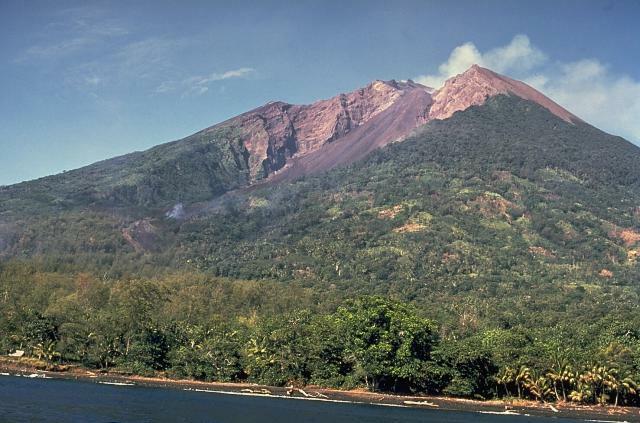 INSIVUMEH reported that on 3 March an explosion from Caliente cone, part of Santa María's Santiaguito lava-dome complex, generated an ash plume that rose 700 m and drifted SE. 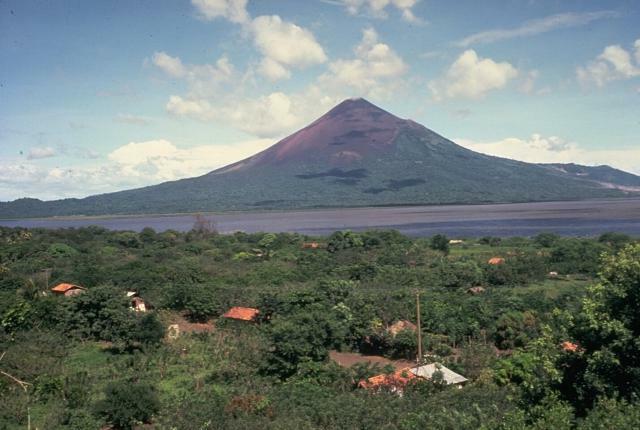 Ashfall was reported in the ranches of San José and La Quina. 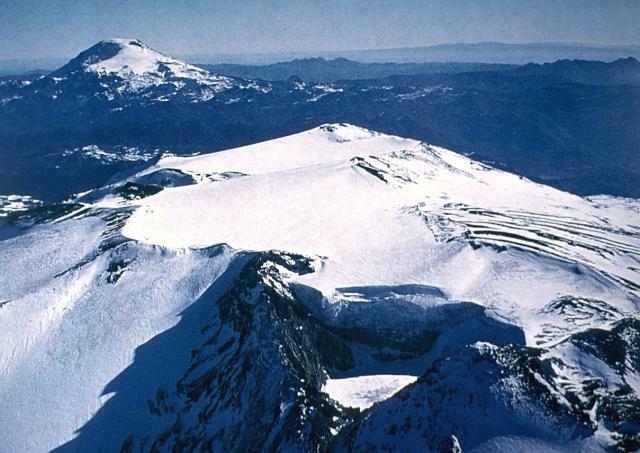 Weak avalanches descended the E flank. 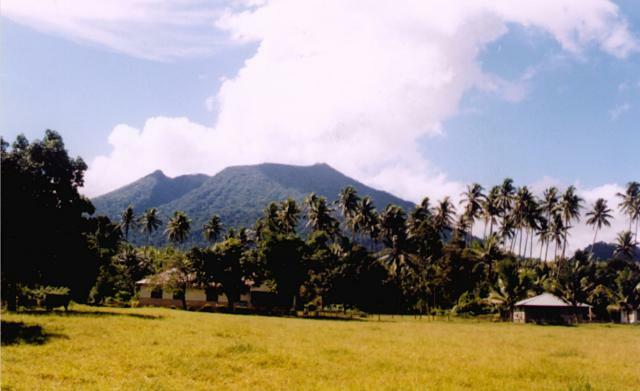 In a special bulletin posted on 8 March, INSIVUMEH stated that a moderate explosion caused a collapse of part of Caliente cone. 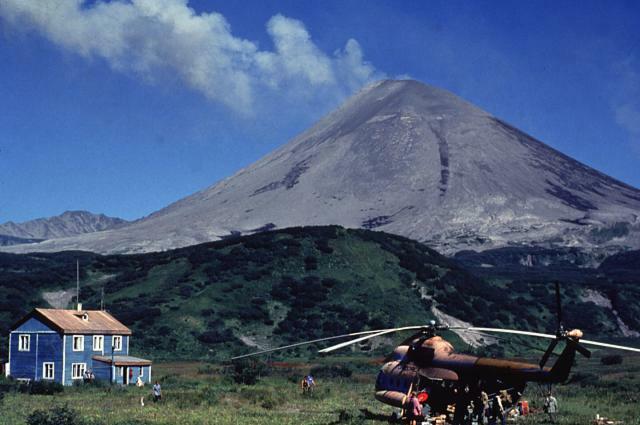 A pyroclastic flow descended the NNE flank, and a dense ash plume that covered the entire volcanic complex rose as high as 1.5 km and drifted NNE. 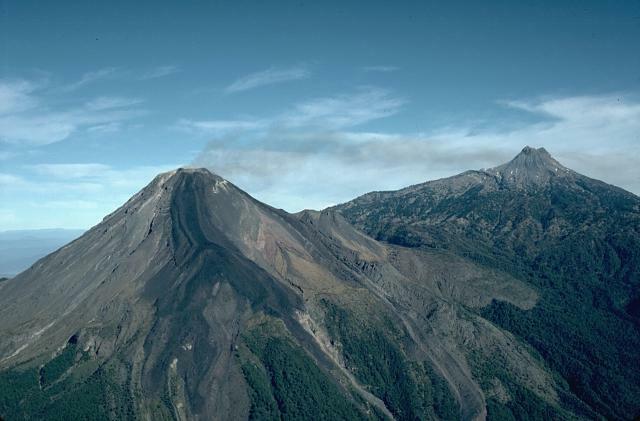 IG reported that moderate-to-high levels of Strombolian activity at Tungurahua continued during 2-8 March. Daily explosions were often accompanied by roaring and sounds resembling gunshots, and often caused local structures to vibrate. Steam-and-ash plumes rose from the crater daily often to heights less than 2.5 km above the crater and drifted NW, WNW, W, and SW; ash plumes rose 5 km on 4 March and to 6 km with a SE drift on 8 March. Ashfall was also reported daily in areas including Chontapamba (W), Pillate (8 km W), Bilbao (8 km W), Chacauco (NW), Juive (NW), Quero (20 km NW), Cusúa (NW), Choglontús (13 km WSW), Pelileo (8 km N), El Manzano (8 km SW), Vazcún (N), and Pondoa (N). Strombolian explosions observed nightly ejected incandescent blocks that rolled as far as 2 km down the flanks. 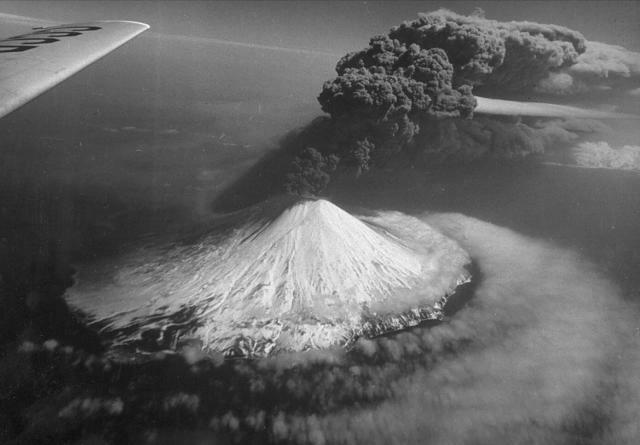 At 1020 on 4 March an explosion vibrated windows and generated an ash plume that rose 3 km above the crater. A pyroclastic flow traveled 1 km down the Romero drainage, and at 1152 another pyroclastic flow traveled 500 m down Achupashal (NW) drainage. On 6 March another explosion was followed by pyroclastic flows that traveled 1 km down the Achupashal, Rea, Pondoa (N), and Mandur (NW) drainages. Pyroclastic flows on 8 March traveled as far as 2.2 km down the Mandur, Romero, Bilbao, Juive, and Achupashal drainages. 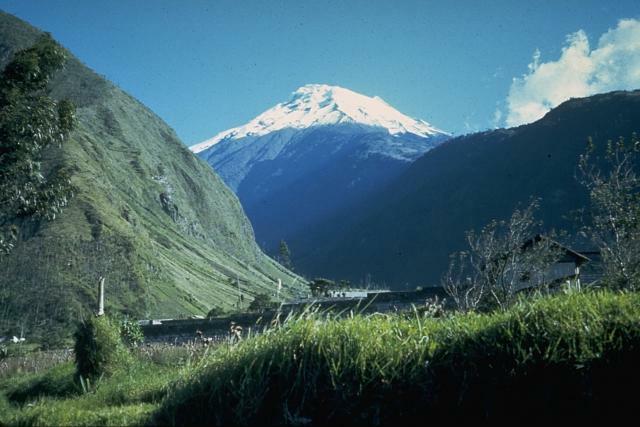 On 5 March lahars descended the ravines of Achupashal, Juive, Pondoa, Mandur, Pingullo, Rea and Chontapamba; lahars in Pingullo and Cusúa led to the closure of the road. 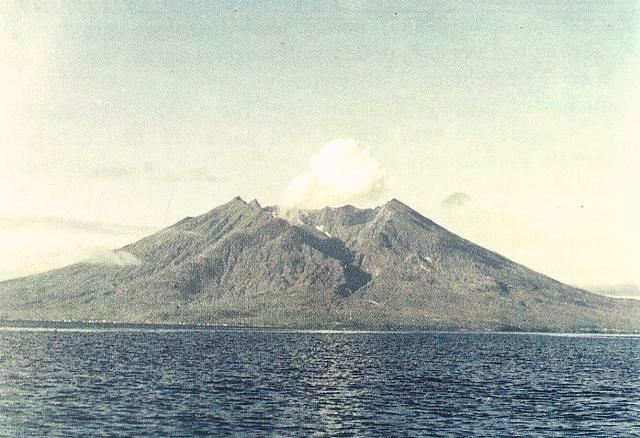 Based on analyses of satellite imagery and model data, the Darwin VAAC reported that on 3 March a plume from Bagana possibly containing ash rose to an altitude of 2.1 km (7,000 ft) a.s.l. and drifted 110 km NE; ash was not discernible in images and RVO stated that ash was not seen by ground observers. The next day an ash plume rose to an altitude of 2.1 km (7,000 ft) a.s.l. 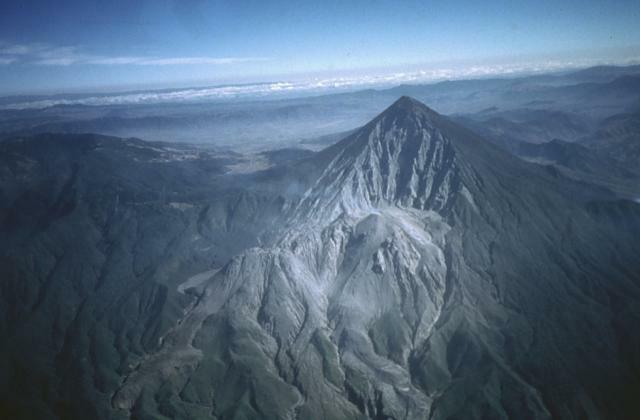 and drifted 45-55 km NE and E.
Based on satellite and webcam images, notices from the Mexico City MWO, and information from Colima Towers, the Washington VAAC reported that on 2, 4, 5, and 7 March ash plumes from Colima rose to altitude of 4.3-5.5 km (14,000-18,000 ft) a.s.l. and drifted NE and SW. A hotspot was detected on 2 March. 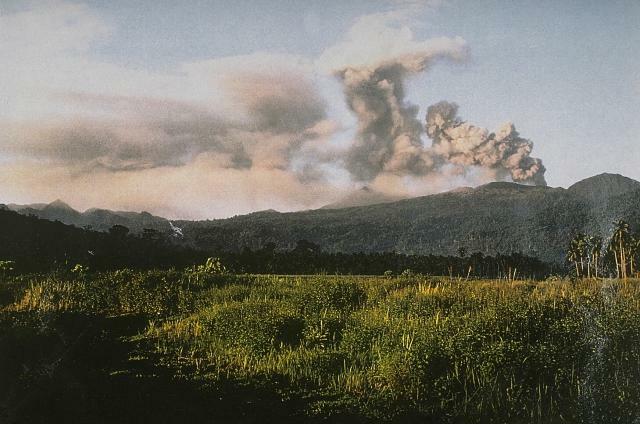 PVMBG reported that during 1 January-7 March white-and-gray plumes rose as high as 1.2 km above the rim of Dukono's Malupang Warirang crater, and were accompanied by roaring heard at the Dukono observation post 11 km away. The weather conditions were generally not windy so ash was deposited around the crater area. Seismicity fluctuated at high levels, but decreased overall compared the end of 2015. The Alert Level remained at 2 (on a scale of 1-4). 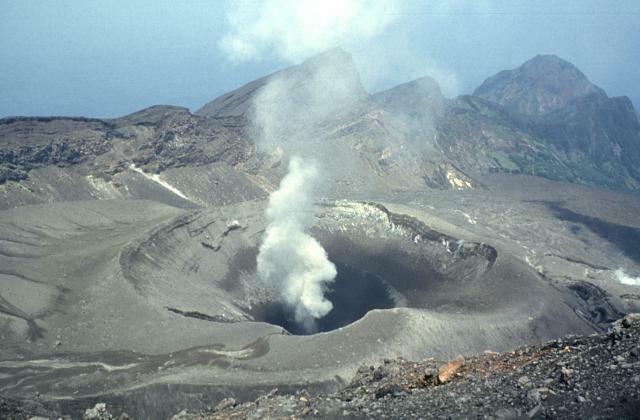 Residents and tourists were advised not to approach the crater within a radius of 2 km. Based on analyses of satellite imagery and wind data, and information from PVMBG, the Darwin VAAC reported that during 2-8 March ash plumes rose to altitudes of 1.8-2.4 km (6,000-8,000 ft) a.s.l. and drifted 25-195 km in multiple directions. INSIVUMEH noted that the fourth episode of effusive activity at Fuego for 2016 had begun on 29 February and lasted for about 48 hours. At the beginning of the episode, ash plumes rose as high as 1.3 km and drifted 15 km S and SW, and lava fountains rose 100-150 m above the crater. In a special report on 2 March, INSIVUMEH noted that explosions persisted even though seismicity had declined. Explosions, detected 25 km away, produced ash plumes that rose 2.3 km above the crater and drifted 40 km W and NW. 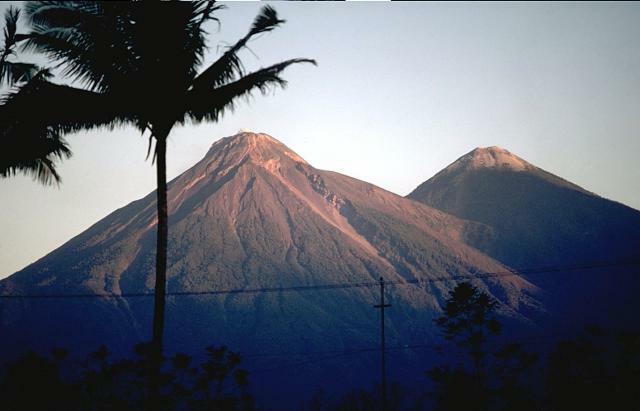 Ash fell in Sangre de Cristo, Morelia, Panimaché I and II, and Yepocapa. A 3-km-long lava flow advanced in the Honda ravine. Later that day, at 1930, INSIVUMEH stated that the effusive episode had ended. Weak explosions generated ash plumes that rose 750 m and drifted 10 km WNW. During 3 and 5-6 March explosions continued, producing ash plumes that rose as high as 550 m and drifted 8-10 km W, SW, and SE. 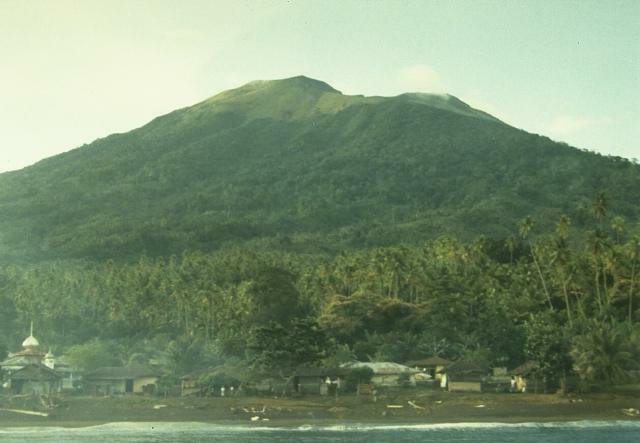 PVMBG reported that During 1 January-6 March seismicity at Gamalama fluctuated but decreased overall; shallow volcanic earthquakes and signals indicating emissions appeared on 3 March and a series of deep volcanic earthquakes were detected on 6 March. 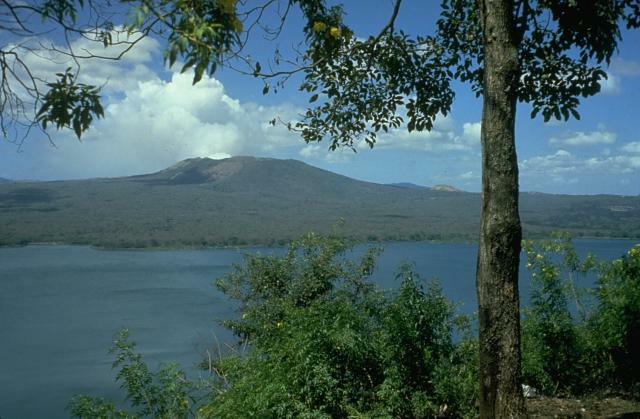 The Alert Level remained at 2 (on a scale of 1-4); visitors and residents were warned not to approach the crater within a 1.5-km radius. PVMBG reported that during 1 January-7 March white-to-gray plumes rose as high as 500 m above Ibu’s summit crater, although inclement weather often prevented visual observations. 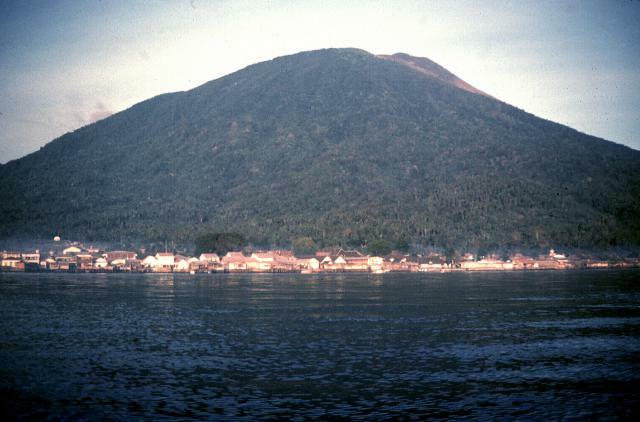 Seismicity was dominated by signals indicating surface or near-surface activity, and the continued growth of the lava dome in the N part of the crater. The Alert Level remained at 2 (on a scale of 1-4). The public was warned to stay at least 2 km away from the active crater, and 3.5 km away on the N side. KVERT reported that moderate explosive activity at Karymsky continued during 26 February-4 March. 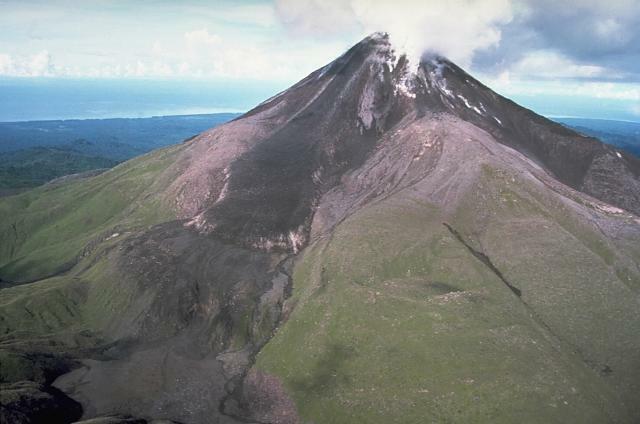 Daily satellite images detected a thermal anomaly over the volcano and fresh ash deposits. The Aviation Color Code remained at Orange. HVO reported that seismicity beneath Kilauea's summit, upper East Rift Zone, and Southwest Rift Zone was at background levels during 2-8 March. The lava lake continued to circulate and spatter in the Overlook vent. Webcams recorded multiple incandescent outgassing vents within Pu'u 'O'o Crater and high on the northeast rim. At 0200 on 2 March a small cone on the E side of the crater briefly produced spatter, and then at 0815 a vigorous lava flow erupted from a W vent. During 3-4 and 6-7 March minor amounts of lava intermittently flowed from S vents. The June 27th NE-trending lava flow continued to be active within 6 km NE of Pu'u 'O'o Crater, burning some areas of forest. Based on observations of satellite imagery and pilot observations, the Darwin VAAC reported that on 4 March an ash plume from Manam rose to an altitude of 3 km (10,000 ft) a.s.l. and drifted over 90 km SE. INETER reported that on 3 March the lava lake on the SW floor of Masaya's Santiago crater was very active. 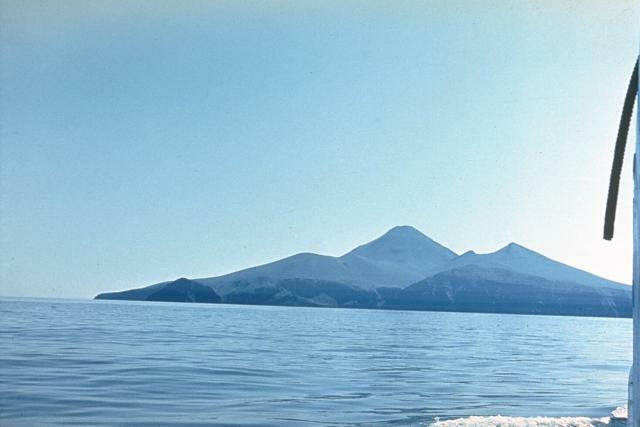 Volcanic tremor remained high and RSAM values were at high to very high levels. 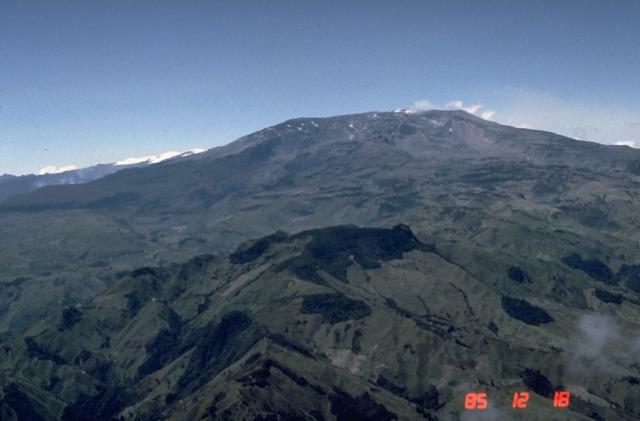 SGC reported that an episode of volcanic tremor at Nevado del Ruiz began at 0923 on 3 March and was associated with an ash plume that rose 3 km above the crater. Based on satellite and webcam images, the Washington VAAC stated that an ash plume rose to an altitude of 9.1 km (30,000 ft) a.s.l. (about 800 m higher than the SGC estimate) and drifted NW. Later that day satellite images detected an ash plume drifting 40 km W. According to the VAAC, the Bogota MWO reported that on 7 March an ash plume rose to an altitude of 6.1 km (20,000 ft) a.s.l. and drifted WNW. 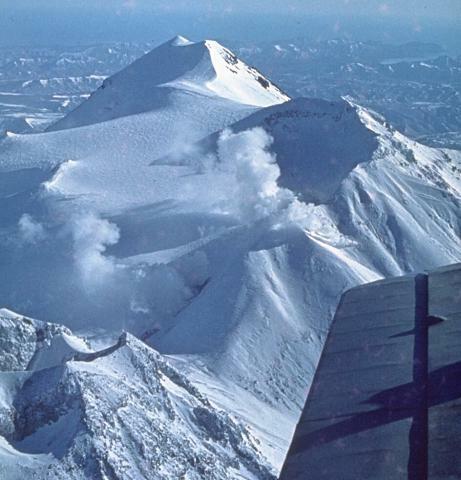 KVERT reported that during 26 February-4 March lava-dome extrusion onto Sheveluch’s N flank was accompanied by fumarolic activity, dome incandescence, ash explosions, and hot avalanches. Satellite images detected a daily and intense thermal anomaly over the dome. A gas-and-steam plume with minor amounts of ash drifted almost 55 km SE. The Aviation Color Code remained at Orange. 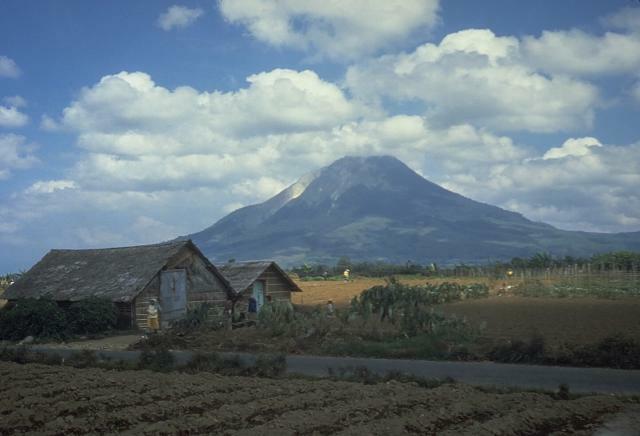 Based on satellite images, ground reports, and information from PVMBG, the Darwin VAAC reported that during 2 and 5-6 March ash plumes from Sinabung rose to altitudes of 3.6-4.3 km (12,000-14,000 ft) a.s.l. and drifted as far as 55 km SE, SW, and W.
Based on JMA notices and satellite-image analyses, the Tokyo VAAC reported that during 2-3 and 8 March explosions at Suwanosejima generated ash plumes that rose to altitudes of 1.8-2.4 km (6,000-8,000 ft) a.s.l. and sometimes drifted SE. Explosions were also detected on 5 and 7 March.